With a team of historians, subject matter experts and real veteran soldiers of several armies, Escalation 1985 is an authentic tactical combined arms multiplayer shooter that aims to capture what it would have truly been like in World War 3 if the Cold War had gone hot. In the Escalation 1985 podcast, game developers talk with subject matter experts and veterans not only about gear, weapons but also the personal experience of those that would have gone into war, had the Cold War turned hot. Ep 13: Patreon Discussion. Announcing Escalation: Aggressors! Our guest served from 1986 in the Nationale Volksarmee as a platoon leader and later as a Fallschirmjäger. He transitioned to the Bundeswehr at reunification where he is still in active duty. He tells us all about the life as a soldier in the fearsome NVA and beyond. Jordan aka Spitfire re-joins the podcast - this time as part of the dev team! Lukas and Jordan answer questions from Patreon, discuss indie games, collecting uniforms and Cold War reenactment. My special guest is Mixtape aka Bobby who runs the War Aesthetics community on Youtube and Discord. He told me about his success on YouTube and his time in the Canadian military, including that time he passed out in NBC gear. More questions from Patreon and banter about collecting militaria and consoles from the 1980s. Please leave a review! Enjoy! 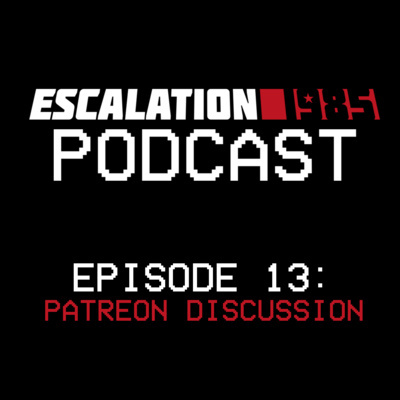 Show notes can be found on http://www.escalation1985.com/podcast/escalation-1985-podcast-episode-4 Escalation 1985 is a World War 3 shooter for PC developed by an indie team from across the world. Escalation 1985 is a first-person PC game that asks what it would have been like had the Cold War gone hot and World War 3 broken out in 1985. We start this episode with a soundscape that introduces our awesome voice actors for the US Army. Pete Peterson is a voice actor from Rochester, New York and Will Newton was an RTO in the war in Afghanistan. We answer question from Patreon on scopes, destructible environments and the healing system. Lukas explains about antidotes to chemical weapons that might actually kill you. Please leave a review! Enjoy! 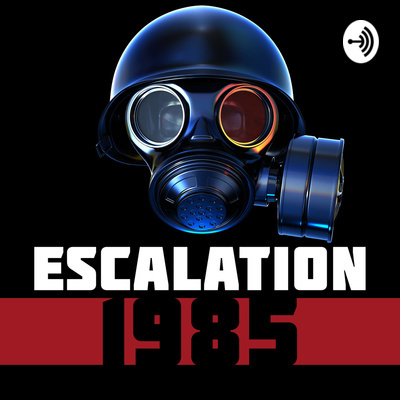 Show notes can be found on http://www.escalation1985.com/podcast/escalation-1985-podcast-episode-3 Escalation 1985 is developed by an indie team from across the world. The developers and historical advisor talk about the game and some of its features. We also talk about what it's like to wear a rubber NBC suit, the game's morale system, nuclear weapons, various gear and vehicles that would have been used in WW3. Show notes can be found on http://www.escalation1985.com/podcast/escalation-1985-podcast-episode-1 This podcast was announced as part of the February update here. Escalation 1985 is developed by an indie team from across the world.